All GCW snowboard bindings are made in America, hand crafted in Washington State. All binding aluminum, hardware, and carbon fiber is CNC machined in house to maintain the highest quality control and provide an optimal riding experience. With over 20 years snowboarding experience, and 20+ years in manufacturing, we believe in creating a locally built binding that is built by riders, for riders. Other goals include spending our days shredding snow with great friends and great riders, while continuously improving our products. We cnc manufacture all our own bindings and hardware, setting us apart from other binding companies. The material we use (aluminum, plastics, foam, carbon fiber) is handpicked and locally sourced in Seattle and surrounding areas. Each carbon fiber highback is built, machined, and hand polished in house. Our plastic baseplate and disk injection mold is USA made and injected locally. The straps/buckles are the only part of our bindings not USA made, but we are dedicated to getting those parts made here and will continue our mission to deliver a fully USA made snowboard binding. Every GCW Binding produced has a lifetime base/heelcup warranty. Each aluminum part is CNC precision machined by us to create a product that meets aerospace level standards. Our heelcups are machined and profiled with a full edge radius to remove sharpness, and create a perfect blend side to side. Our hardware is custom machined specifically to match our bindings and deliver a better, stronger, more reliable product. Every carbon fiber highback is carefully built in house using a multi-layer process that ensures good flexibility while maintaining the strength and response you want. Have you ever wondered why other companies limit your choices in snowboard binding colors? Chinese sourcing means they have to order product in advance and in large quantities which limits their offerings to a few colorways of that year. 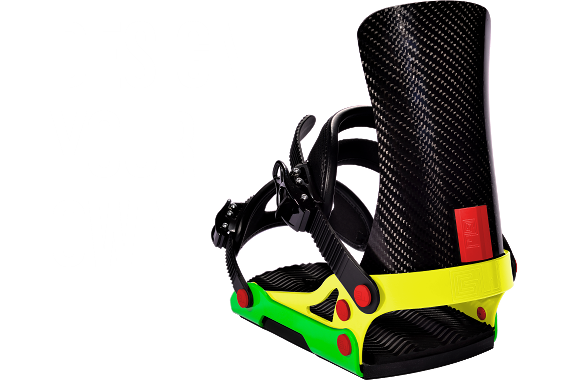 At GCW Bindings we believe you should build a set of bindings that reflect your personality and deliver a truly unique ride. 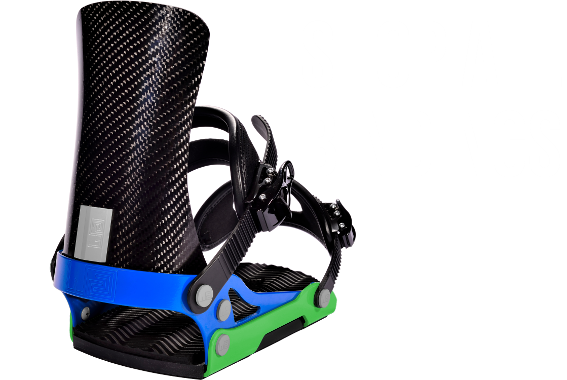 Using our binding builder you can design your own colorway to match your board, gear, or style and set yourself apart on the mountain. If there is a specific color you want, let us know and we will order it for you.